The National Weather Service downgraded its storm warning for the Texas coast from hurricane to tropical storm strength shortly before Alex made landfall at about 9 p.m. as a powerful Category 2 storm about 110 miles south of Brownsville with sustained winds of about 105 mph. Although Texas got off much easier than Mexico, more than 6 inches of rain drenched Brownsville by late Wednesday and 66 mph wind gusts closed the bridge to South Padre Island. No injuries or severe damage were immediately reported. "We dodged a potentially violent storm," Cameron County Judge Carlos Cascos said. Alex leaves behind a big mess in South Texas and now tornadoes are the big worry. Still, 9-foot waves were reported on the South Padre Island beach, and Alex spun off two small tornadoes near Brownsville. One flipped a trailer. More than 1,000 people in low-lying Hidalgo and Cameron counties fled to storm shelters. More than 1,000 homes were without power late Wednesday, with the biggest outage caused not by the storm but by a car that ran into a utility pole, American Electric Power spokesman Andy Heines said. When Hurricane Dolly tore through south Texas in 2008, more than 200,000 homes lost power, and it took more than a week to restore full service. As the storm made landfall, concern turned to the 100-mph winds, drenching rains and storm surge. Alex is the first June hurricane in the Atlantic since 1995, according to the hurricane center. Texans still took precautions before the storm. At a shopping plaza at the foot of a bridge into Mexico, shop owners taped windows and swept water pooled on the sidewalk into the empty streets. 15 separate agencies are working side by side at the Federal Emergency Management Agency office in Denton during Hurricane Alex. 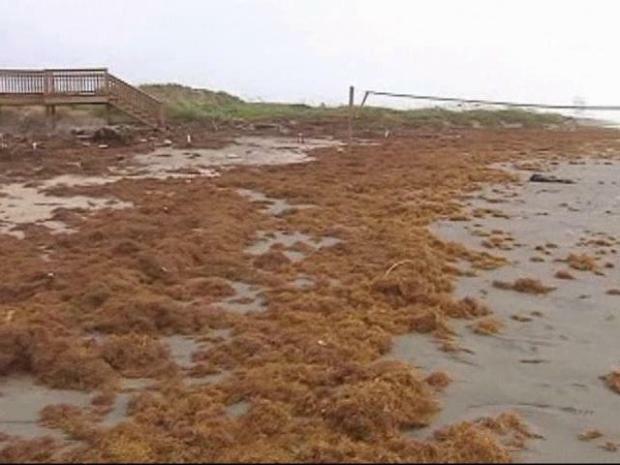 On South Padre Island, officials closed the causeway from the mainland as winds kicked up and rain whipped the popular vacation getaway. The Department of Transportation says the Queen Isabella Memorial Causeway, linking tourist-popular South Padre Island to the rest of Texas, reopened shortly before 8 a.m. Thursday. Constables patrolled the beach to keep people away, but marathoner John Harris didn't let the worsening conditions interrupt his training run. "We drove 1,200 miles from Carollton, Georgia, trying to get away from the oil, got here Sunday and found a hurricane," Harris said. "So we have to make the best of a bad lot." Forecasters expected some parts to get up to 20 inches, comparing the potential to Hurricane Dolly in 2008. Hundreds of families took shelter at a Brownsville high school, which was beginning to quickly fill up by early Wednesday. Rio Grande Valley farmers were also bracing for Alex, which could bring them a third-straight year of losses. Tourists were packing up and leaving South Padre Island on Tuesday, while locals prepared for Alex. Luis Ribera, an economist in Weslaco for Texas AgriLife Extension, said that if cotton, corn and grain sorghum fields get hit by the north side of the hurricane where winds and rains are more severe, losses could reach $44 million. That's more than the losses for 2008 and 2009 combined, according to Ribera. Engineers were watching the levees in south Texas as the storm approaches the area. Should a hurricane hit the state's Gulf coast, barrier islands would protect the marshlands from major damage, said land commissioner Jerry Patterson. The main threat as the hurricane begins to fall apart over land will be tornadoes, which could last another day or two, hurricane center meteorologist Chris Landsea said. The other big threat is rain, Landsea said. Parts of Mexico and Texas are expected to get 6-12 inches of rain, which could cause flash flooding farther west, away from the coast, he said. Gov. 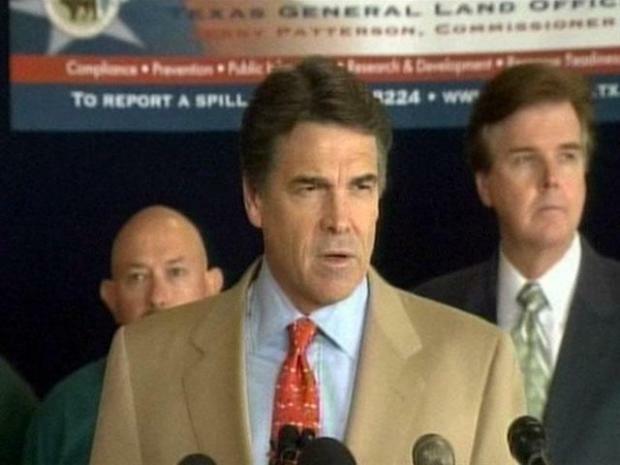 Rick Perry said his greatest concern from Hurricane Alex is flooding, but he vowed the state is prepared for storms this summer as well as any impact from the Gulf oil spill. The storm was far from the Gulf oil spill, but cleanup vessels were sidelined by the hurricane's ripple effects. Six-foot waves churned up by the hurricane splattered beaches in Louisiana, Alabama and Florida with oil and tar balls. Engineers were watching the levees in south Texas as the storm approached the area. Scientists in Texas were also monitoring a buoy system that records the Gulf's water directions and velocity every half-hour. That information will determine where the oil could spread, should it approach Texas as tar balls on the beach, said Texas land commissioner Jerry Patterson. Oil rigs and platforms in the path of the storm's outer bands were evacuated, and President Barack Obama issued a preemptive federal disaster declaration for southern Texas counties late Tuesday. The three oil rigs and 28 platforms evacuated are not part of the Gulf oil spill response. Associated Press writer Sarah Portlock in La Porte and video journalist Rich Matthews on South Padre Island contributed to this report. 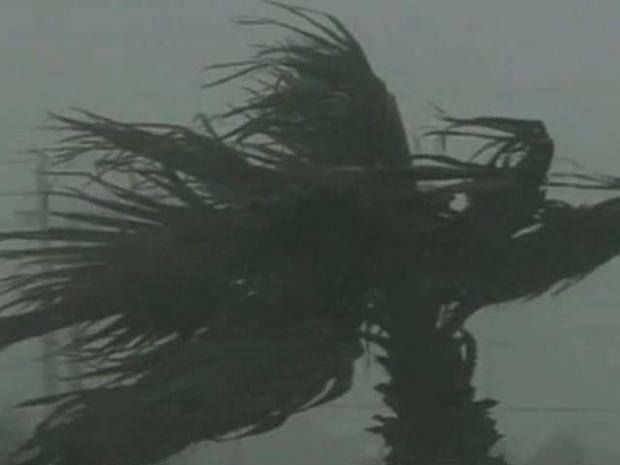 South Texas avoided the worst of Alex as the hurricane weakened to a tropical storm and normally busy roadways shut down over weather concerns began reopening. Hurricane Alex spared Texas a direct hit late Wednesday night as the Category 2 storm barreled ashore in Mexico and left many in the Rio Grande Valley soaked but feeling they escaped the worst.